When you need to ship a car to or from Maui, Hawaii Car Transport is the most reliable way to go. We manage Maui car shipping for both individuals and companies, moving thousands of vehicles on a yearly basis. Through our advanced network of transportation professionals, we can simplify your automobile relocation. To calculate your shipping rate instantly, visit our online quote calculator or call (808) 445-6695 to receive a rate by phone from an experienced Hawaii vehicle shipping coordinator. 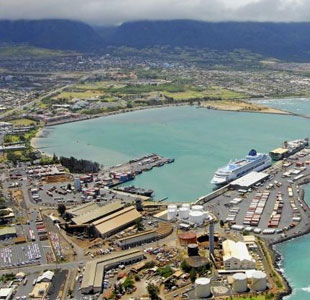 At Hawaii Car Transport, our goal is to make Maui vehicle shipping fast, easy, and affordable for everyone through our competitive shipping rates, advanced transportation technology, and quality customer service. Use the information and links below to start planning your vehicle shipment to or from Maui, Hawaii. Can I have anything inside my vehicle when shipping to or from Hawaii? What else do you ship to and from Maui other than vehicles?